Sisu Painting offers custom exterior and interior painting and custom cabinet finishes in Portland OR and surrounding areas. Environmentally safe and lead-safe certified for residential, commercial, historic and multi-family. Highest quality artistry, attention to detail, meticulous service every time. 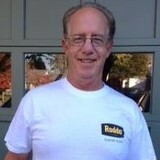 If your looking for a painter in Beaverton or the greater Portland area, give us a call! 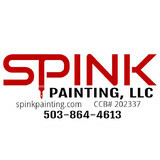 At Spink Painting, we strive to exceed the expectations of each and every customer. We do that by using the highest quality products and attention to detail. You'll notice the difference immediately when you choose us to paint your home or business. Hiring a high-quality painting company is an important decision and we'll provide you with outstanding service. Twenty-five years ago, Scott Spink, a Heath and P.E. teacher at Dayton High School, started painting houses when school was out for summer. Five years ago, after retiring from teaching, Scott was able to focus solely on his growing business, giving it a logo and the name Spink Painting. Now, he and his three crews paint houses in Western Oregon full time. Our employees, as good as they are at painting houses, do not produce paint. Rodda and Sherwin Williams are our two main paint suppliers, they have a large variety of color samples for our clients to choose their perfect fit. We use water-based primers and stains that are environmentally safe and block stains on every project, interior or exterior. Now in our third generation, Sundeleaf has grown from a single Portland painter into a premier painting contractor that follows an 83-year family tradition of delivering custom painting services of uncommon quality and value. At Sundeleaf Painting, our professional craftsmen combine a systematic approach, vast knowledge of paint technology, product, and application, and meticulous attention to detail to deliver beautiful, long-lasting results to your home or business space. This is what our customers expect, and we’re happy to provide it. It may take a bit longer and cost a slightly more; but, what we've learned in the last 82 years of painting in the Portland Area is that all of our processes and quality craftsmanship result in high quality finishes. Merging Paint And Inspiration To Redesign Space. 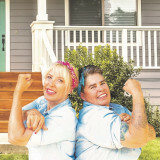 Avanti Painting Company founded and operating in Portland for the past 18 years. Our team is skilled at interior, exterior, commercial and residential painting, cabinetry refinishing and consulting. We excel at ensuring we can be your one-stop source for any painting and finishing needs, regardless of size, styling and location. We have built our reputation, and service, on our innovation, modern design, ability to inspire and help execute on any vision while offering reliable, honest and efficient work. We are committed to ensuring your finished project exceeds your expectations. At Five Star Painting, we understand the importance of color. Painting the spaces where you live and work is about more than just paint. There is an emotional value to paint. Paint has the power to reflect who you are. It can transform a room from just a room to a place you want to be. Color can reflect your personality, your hopes, your dreams, and your interests. Color matters! From a fresh exterior paint job that improves the curb appeal of your home or business to interior paint that brings color and feeling to your daily life, paint can make all the difference—and at Five Star Painting, we’ve got paint covered. Our mission is to capture your dreams and enhance your lifestyle by adding color to your world: the way you see it. Since 2004, ITech Painters has been painting homes and businesses in the Hillsboro, Beaverton, and Portland communities. Our customers have given us an A+ rating through the Better Business Bureau – a testament to our integrity, quality, and pride in workmanship. We are also highly rated on Google and Yelp. When you hire a paint contractor, you want more than just a crew that comes out and paints your home. And as a family-owned business, we believe you deserve more as well. With ITech Painters, you can expect to have your phone calls returned in a timely fashion. We will make sure that throughout the process – from your first call through completion – there is open communication to ensure that everything is done to your satisfaction! So whether you need your home’s interior or exterior painted, or if you have a commercial property that needs painting, call ITech today for a free, no-hassle estimate at (503) 866-7439. Your personal space is important to us. It should reflect your tastes and give you comfort. That’s why at Western Accents Painting we take the time to understand your vision and suggest ways to achieve your personal style. Our process begins with a thorough understanding of your needs. Why You Should Choose Western Accents Painting • When you talk, we will listen. • When we work, we know what we are doing and our craftsmen are second to none. • When we are at our location, we are neat, clean and easy to have around. • We have a great reputation and we can prove it. Whether you have kitchen cabinets, stained woodwork or built-ins with clear or painted finishes, Western Accents is the right choice for your wood finishing project. We can finish almost any wood project, from ornate bars in restaurants to kitchens to exposed beams in commercial office buildings. Wood finishing is a very delicate process. Very few companies offer the in-depth experience that we do. We know wood and which finish to use for your particular need. Soft woods take finishes differently and require different finishing techniques than hard woods. Some woods require the application of a “grain tamer” before they can be stained in order to maintain a beautifully finished piece. We know the finishes. We know how they will perform over time for best color uniformity and clear, beautiful finishes. Specialized equipment. It takes specialized equipment to work with delicate or historic wood finishes. Knowing what can be done and the right equipment to use is essential. Easing the process. Many wood and metal coatings have very strong odors, and just really smell, whether they are considered “green” or not. We can recommend which finish would best suit your individual needs or desire. Look to us first as your color therapist and painting experts to provide you with what you want in your home or office painting project. “What makes ESP Painting different?” you might ask. We care about the work we perform. We love what we do, and it shows. We take great pride in our work. It’s innate in our team. You can trust that we will apply the latest techniques, using green and eco-friendly products that are safe for your home, family, and employees. You will find that we deliver exceptional, timely, professional painting for every client we serve in the greater Portland Metro area. We meet and exceed all safety codes and standards as set forth by the Painting and Decorating Contractors of America, (PDCA), OSHA, and DHS. You can rely on us to show up at your front door, happy to be there, with our can-do attitudes, paying particular attention to all details and leaving the area clean and tidy at the end of the day. We can’t wait to get started! Proudly serving the greater Portland area since 2008. We specialize in interior/exterior painting and drywall installation and finishing. We also offer experienced services in: residential construction, interior finish carpentry, pressure washing, gutter cleaning as well as deck staining and refinishing. We appreciate your business, and pledge to treat your home as though it were our own. Our goal is to help you transform your house into the home of your dreams. For the winningest and colorful smile ever championed by a trusted company, Sunrise Custom Painting houses the best house painters and contractors to offer you nothing but quality interior and exterior house painting services for either your aesthetic satisfaction, exemplary requirement of a dream home, or both. We magnify and therefore express certain elements of artistry to emphasize custom painting results with the help of our reliable painters paying close attention to detail, quality and custom design. Serving the Portland area, our house painters and contractors painstakingly draw eclectic inspiration from their experience and imagination to very well execute your interior and exterior painting project. It’s for your satisfaction why we are stroking gentler but deeper in scope and result! Our years in the industry have given us the opportunity to work on the finest house and office painting projects. The more we deliver satisfying painting services in different project sites in Portland, the more our painters and contractors go off like clockwork in prepping up for the proper execution of your painting project. Wherever you are in Portland we have the network and access to give you the best painters and contractors who are Portland-based so that they can be approached lest you have concerns on almost anything but the progress and status of your interior and exterior painting project. We are a small painting contractor focused on the delivery of a stellar contractor experience, while providing a quality paint job. We strive to use the absolute best materials available to enhance the finished product. We are a veteran owned company based in SW Portland. We are a smoke free company out of respect for our clients. Our goal is to become your painter for life. At Resilience Painting, we strongly believe that customer service is the foundation for our successful business. We are in business because we love painting people's dreams into reality. 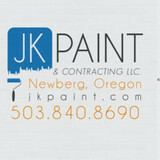 We take pride in being a local Pacific Northwest contractor specializing in paint services. Repeat and referred customers account for over 60% of our current business. You can count on us to provide the highest quality service to you and your family, at a competitive price. We consistently adhere to professional standards, comply with safety regulations, and remain convinced that top-of-the-line products and workmanship deliver the best long-term results and customer relationships. We pay attention to every little detail to transform your project from ordinary to extraordinary. If you are looking for high quality at the best value for your hard earned money and obtain a professional, friendly, knowledgeable service at competitive prices, be sure to call or email us here at Resilience Painting for a free estimate. We provide interior and exterior painting and deck weatherization for residential home owners, High-end Property Management Companies, Realtors, Insurance, Restoration Companies and General Contractors.